This comes under the title what to do with a bag of apples, when you know you can't eat them all. 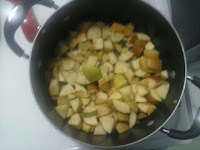 I started by coring the apples and dicing them up. Then put them in a large stock pot with 1/4 cup sugar and a tablespoon on cinnamon, added just a little water and simmered them for 2 hours. I put them in a container and refrigerated overnight. 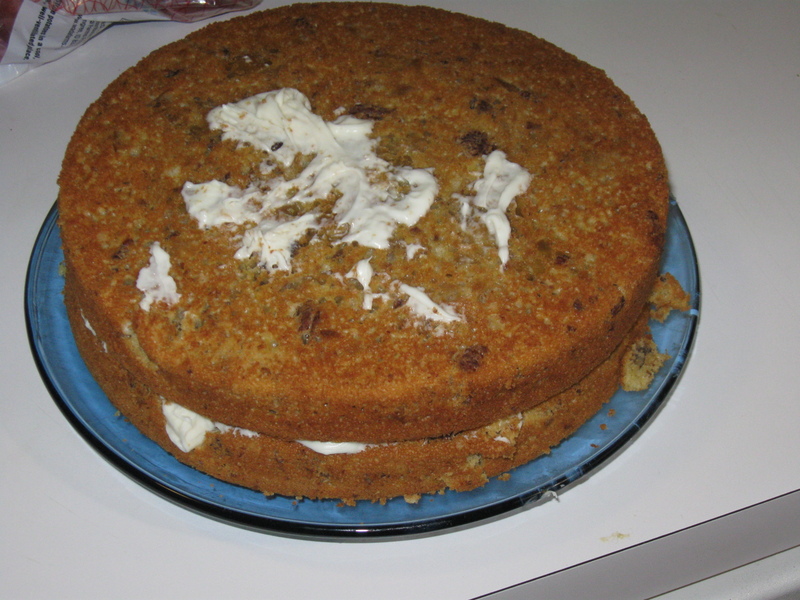 Cooked apples can be used in many ways, but this is about cake. 1 1/2 cups cooked apples. Make the cake batter following the instructions on the back of the box. Add the cinnamon, apples, and pecans. Pour the batter into two greases 9 inch cakes pans. 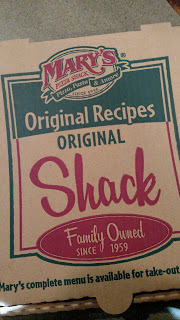 Bake according to package direction. Use the higher end of the time range. A toothpick should test cleanly when they are done, and should be a nice golden brown. 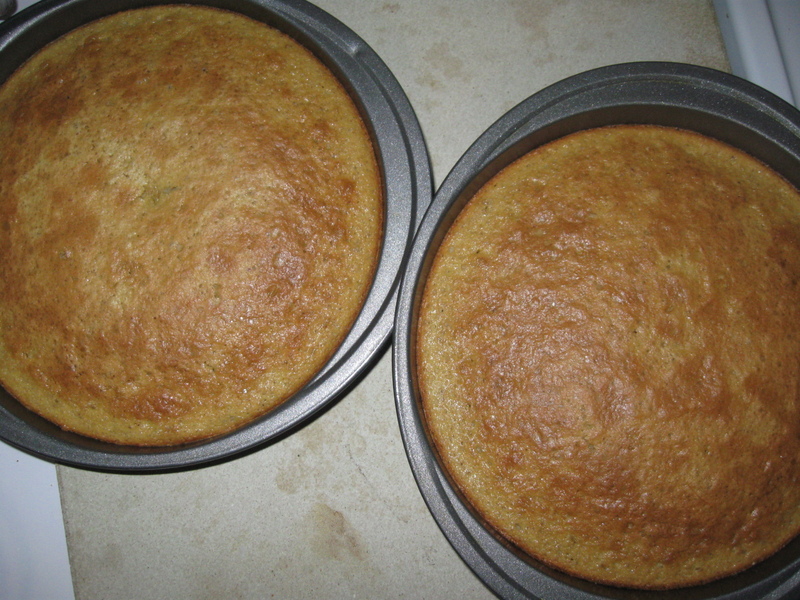 Let them cool before turning out on a cake plate. 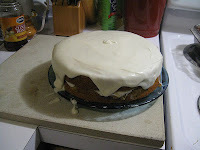 Use the 1/2 can of cream cheese frosting for the first layer. Make sure in is spread evenly, then carefully put the other layer on top. Pour the frosting over the cake, spread until smooth. 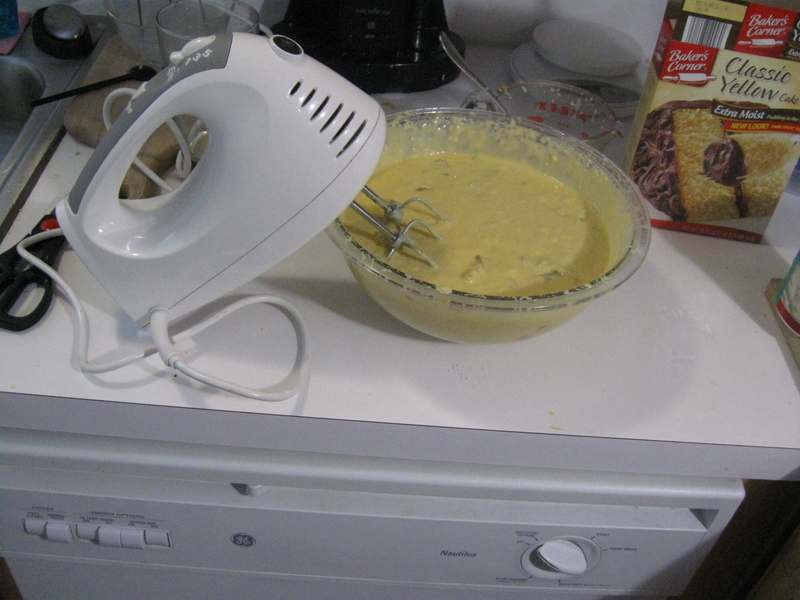 Let the frosting set up before cutting and serving. Bring the butter to room temperature. 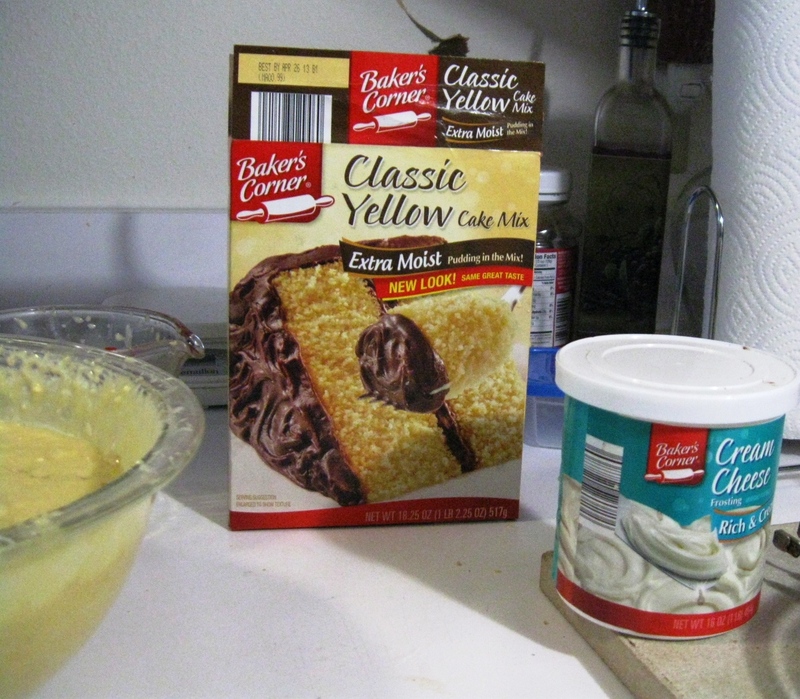 Add the sugar, milk and vanilla, and sour cream all at once. Beat until smooth.